Permit the federal government to advocate for international education. Grants to educational institutions to assist and promote changes to the way American students learn language and culture. Programs and initiatives have evolved around these two core activities to target important national security needs as well as foreign language innovations. Today, NSEP oversees multiple critical initiatives designed to attract, recruit, and train a future national security workforce. The program annually prepares and submits a summative report to the White House and Congress highlighting accomplishments and results over the past year. 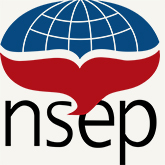 To view reports published by NSEP, click here.